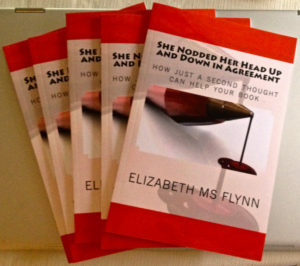 The proof copies of She Nodded Her Head Up and Down In Agreement: How Just a Second Thought Can Help Your Book have arrived! After all these years, I’ve got stories. So I wrote a book on editing. Not so much editing as helpful hints that authors should keep in mind as they’re sending their beautiful words and intriguing characters out into the world. 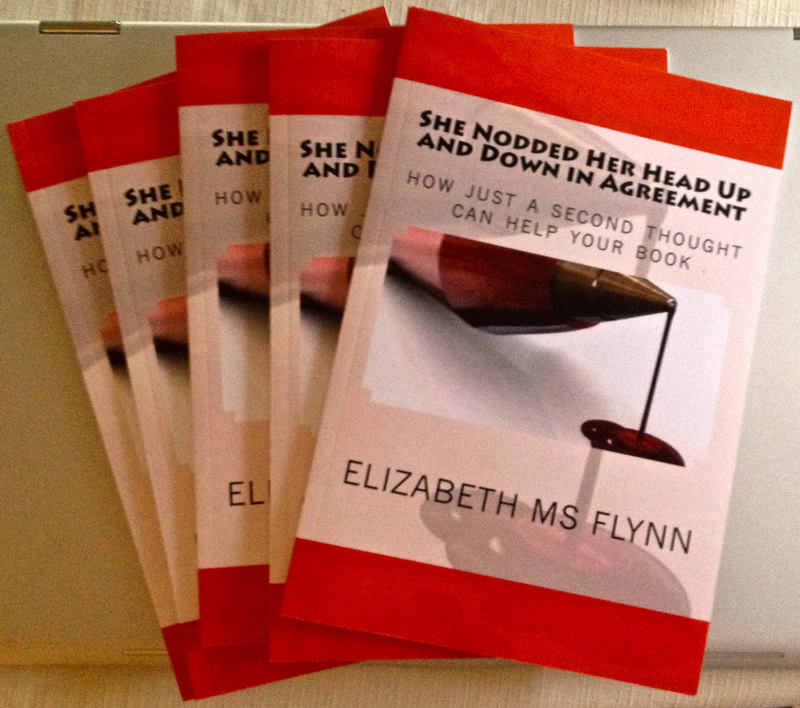 I’ve entitled it She Nodded Her Head Up and Down In Agreement: How Just a Second Thought Can Help Your Book. As you will conclude — because you’re clever enough to draw conclusions or you wouldn’t be a writer reading this blog — I’ve captured decades of work as an editor to share some of the very obvious traps that my otherwise wonderful clients have fallen into. Things like having a character squint her eyes (is she going to squint her foot? ), kiss with his mouth (what else is a he going to kiss with, his foot? ), showing when you should be telling (yes! it happens! ), wetting his appetite (no, just no! ), baiting breath (worms? really?) — these are things you couldn’t care less about, but I absolutely could care less about. In fact, I care a great deal about these things. And that’s why my clients continue to hire me. These little tidbits will soon be for sale in book form at Amazon and all the other places. First, you can win one in a raffle at the Emerald City Writer’s Conference, where I’ll be presenting (I’ll write a separate post about my topic, which is key to the conference). I hope I’ll see you there — and I hope you win!